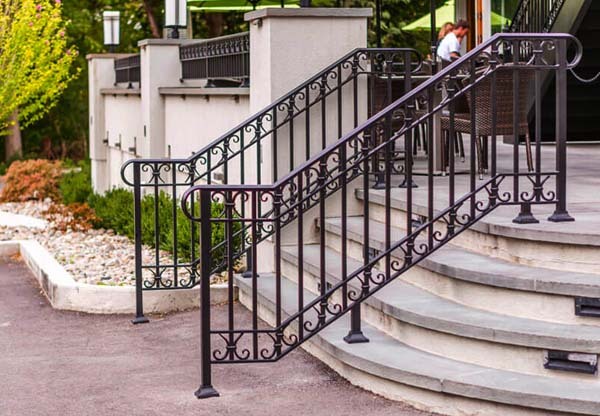 For over 20 years we have been custom bending and shaping iron for distinctive driveway gates, wrought fences, and stair railings. 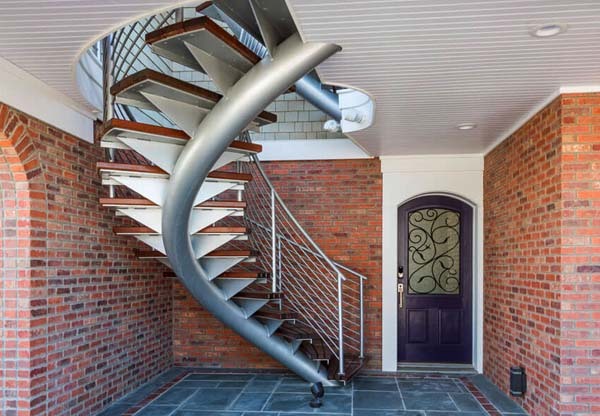 In the past few years we have also become involved in building monumental stairs, spiral staircases and providing automation and security for gate openers. 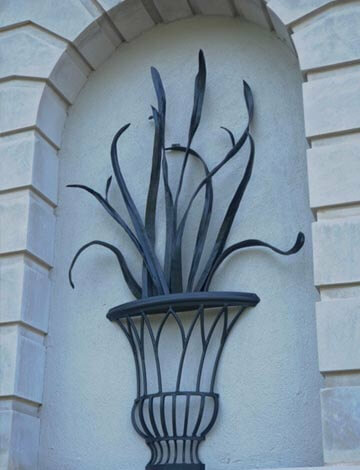 Our master craftsmen collaborate with architects, interior designers, landscape architects and homeowners to hand build one-of-a-kind creations to beautify and secure homes. 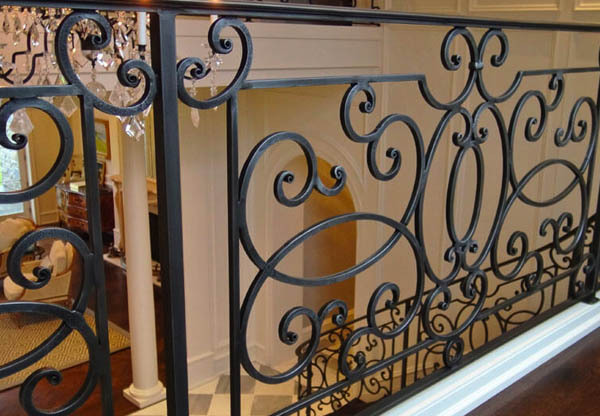 Did you know wrought iron is enjoying a re-surging popularity in affluent homes everywhere? Compass Stands at the forefront of this movement with elegance, integrity and tradition in our hands providing thought leadership in the industry through professional education for differ design communities. Our work graces homes in New York City, New Jersey, Pennsylvania, and Washington DC. Please take a few minutes to browse this website and get to know us – how we work and what we have done for others. Be sure to visit our Galleries. Then, order the design guide which will help you create your own masterpiece. 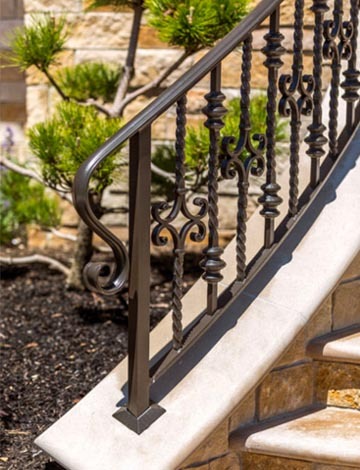 Doing so will admit you to an exclusive club of homeowners who know the value of wrought iron, custom built to reflect your preferences, style and character. During the process we will be available to work hand in glove with you to develop the best design to exhibit your home to its fullest potential and most stunning effect. Just imagine the endless possibilities! 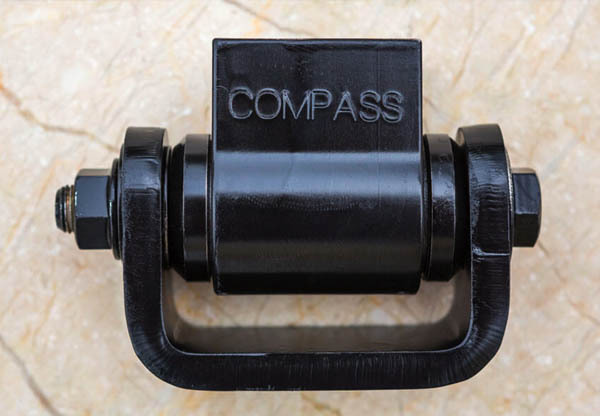 Here at Compass Ironworks, we have developed a process to create “wrought” material where we take today’s iron or A-36 steel and with the forge and a 100 yr old power hammer. This process recreates the same visual texture on the surface and irregular and inconsistent edges. This material also has its environmental benefit as it is created from 97% recycled content. 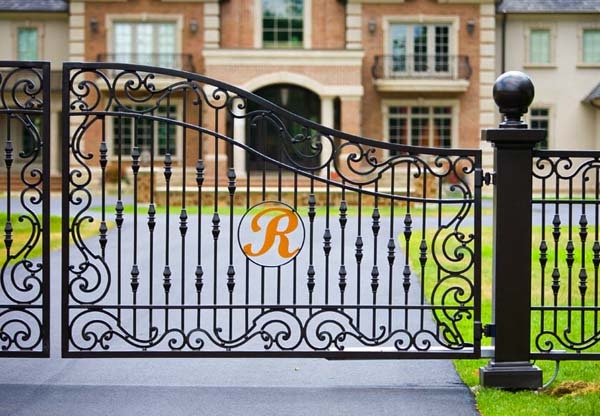 Our main objective is to create beautiful front gates, fences, deck railings, stair cases and iron sculptures. But what good is finely executed craftsmanship if it is not finished correctly to withstand the elements in its built environment. 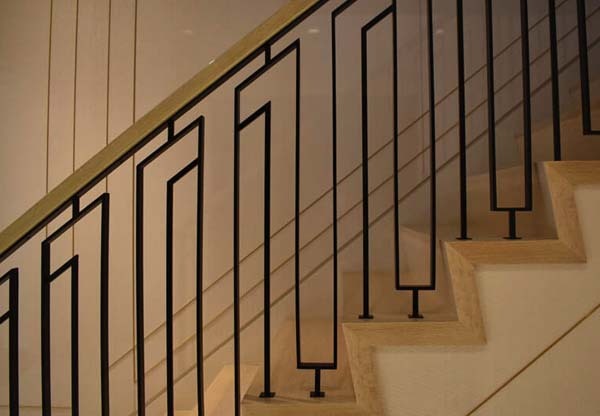 Here at Compass, we take finish seriously, whether it is a mirror finish on stainless handrail, antique tarnish on bronze spiral staircase, traditional blackened and renaissance wax finish on wrought iron railing, or powder coated porch railing at a shore home. It needs to be given the best possible finish to withstand the elements, to provide the best value for the client. 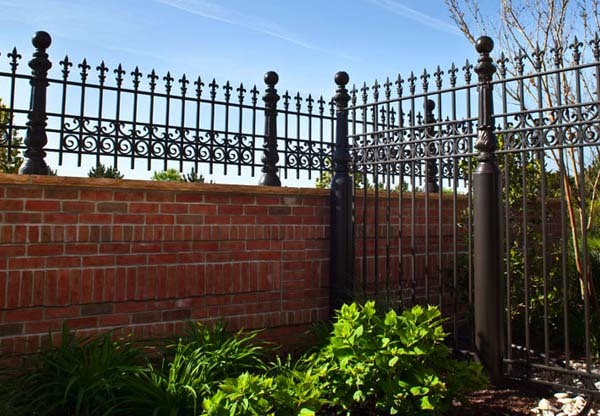 The last thing we want to do is create a project where the client has continual maintenance and upkeep, or where corrosion destroys an otherwise beautiful Iron Gate. The Ironworks Industry has done little to provide professional education on proper specifications. To fill this void, Compass Ironworks has been providing, AIA, LACES and ICDEC accredited sessions to architects, landscape, architects and designers and interior designers for many years. These sessions provide insights, expert techniques and know how for designers best serve their clients. 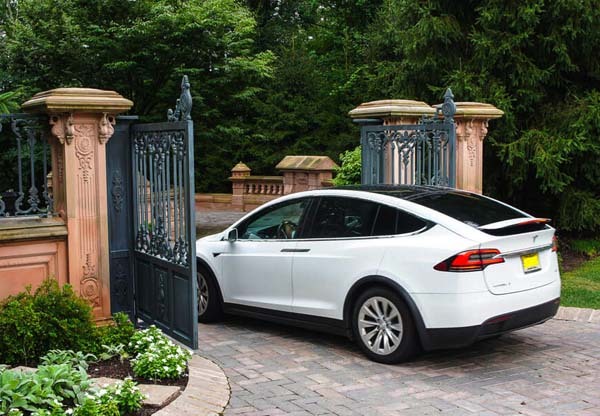 Green Ironwork? Yes indeed. All the solid bar material we use in our projects is on average 97.7% recycled content. 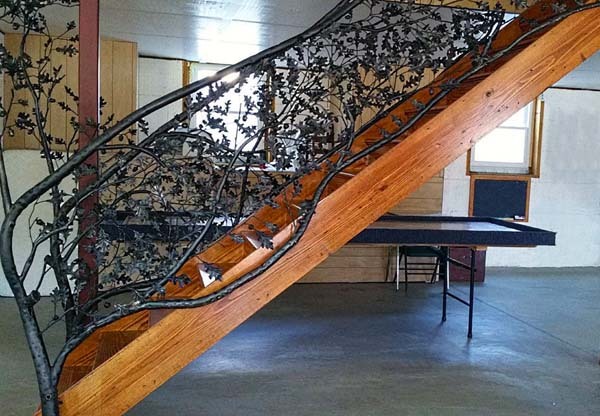 By using recycled and repurposed material, we can reduce our carbon footprint and turn that old clunker in the garage or the noisy refrigerator from someone’s basement into a beautifully handcrafted work of iron art! Some of our contemporary alloys have 100% recycled content. Compass has won numerous Top Job Awards from the NOMMA (National Ornamental and Miscellaneous Metals Association). A contest that participants nationally and internationally enter their best projects competing for Gold, Silver, and Bronze awards in various categories. The competition is judged by peers in the Ironworks community, a true reflection of craftsmen judging craftsmanship.